As the raging Australian wildfires finally began subsiding, a firefighter decided to show how his team is battling the flames on the charred Adelaide Hills by mounting on a GoPro camera on his helmet. The wildfires in Australia have destroyed a total of 38 homes and injured 23 people since they began on Friday, according to the latest official data. 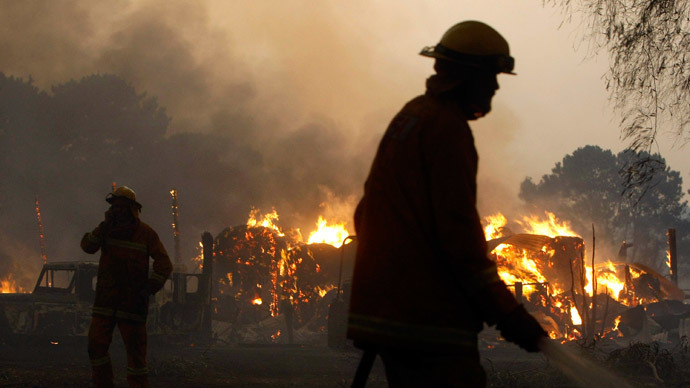 The blaze engulfed up to 12,500 hectares of land to the northwest of Adelaide. A firefighter named Ben Wilson decided to equip himself with a GoPro camera to show the challenge his team was facing from within the inferno-like scenery. In a video uploaded to YouTube, Wilson and his team drive around the area with heavily smoke polluted air. The team stops at several houses and extinguishes flames that are about to engulf houses or have already started climbing upto the rooftops. The footage shows the destruction the fire has caused, capturing burned down houses and desolate gardens. The danger of the situation is apparent, with firefighters having trouble breathing as they cough and struggle for fresh air. On Tuesday, local officials reported progress after days of fighting the wildfires. “I'm happy to report we've made some significant progress on securing the outer perimeter during the course of the day and our crews will continue working into the night to secure the rest of the perimeter,” Country Fire Service chief officer Greg Nettleton said. 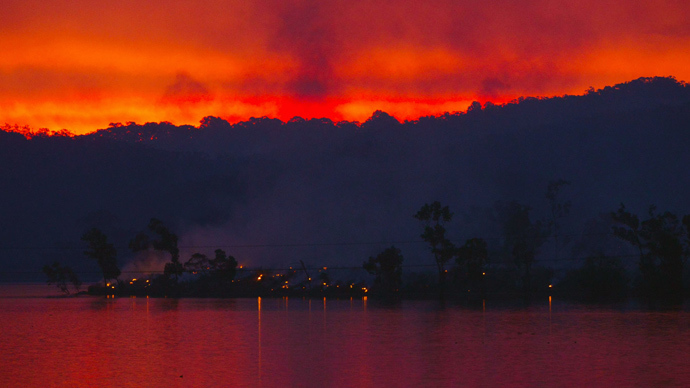 The fires have been referred to as Australia’s worst since the massive Ash Wednesday bushfires in 1983. However, even the devastating Ash Wednesday was not the deadliest wildfire disaster in Australia’s recent history, as 173 people lost their lives and 2,000 homes were lost in Victoria in out-of-control blaze in 2009.